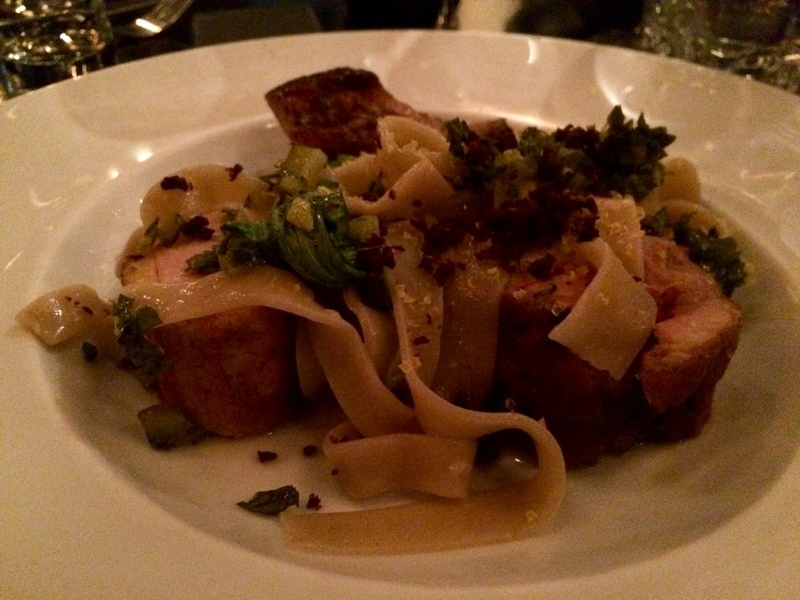 Why you must try Salmigondis – Montreal restaurant | Everything Delicious. Although at the heart of little Italy and with an Italian sounding name, Salmigondis is not your typical Italian eatery. 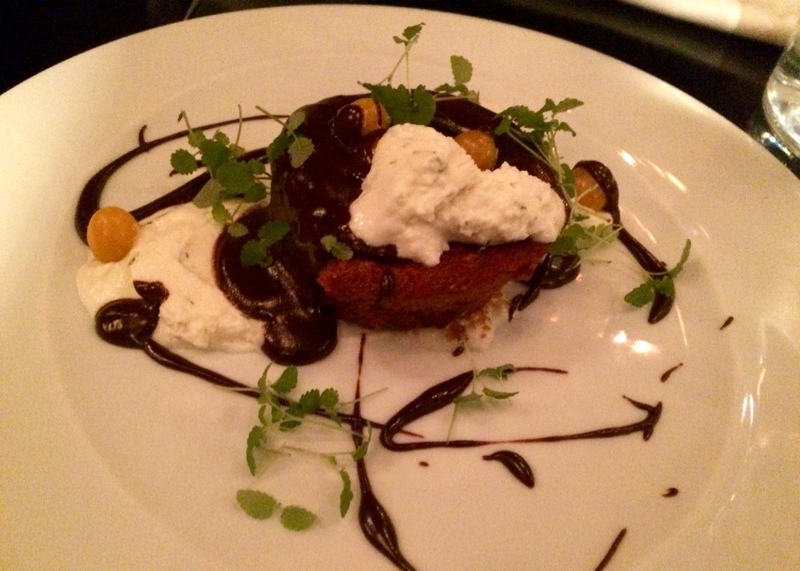 Here, you’ll discover a modern and seasonal cuisine with a short yet very well thought-through menu. 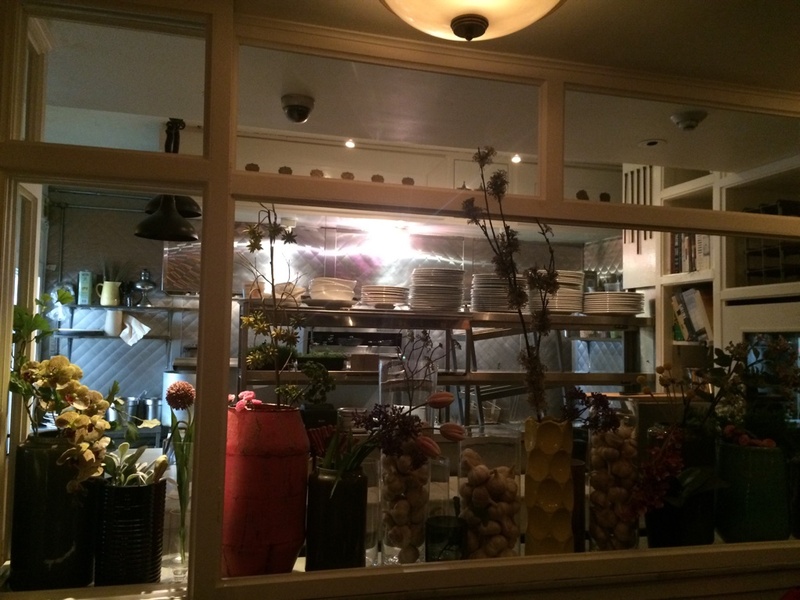 I had the chance to dine here with a large group of friends, and after trying pretty much every dish on the menu, I confirm a sans-faute for Salmigondis, a great Montreal restaurant to discover. The night started off well with brilliant starters. 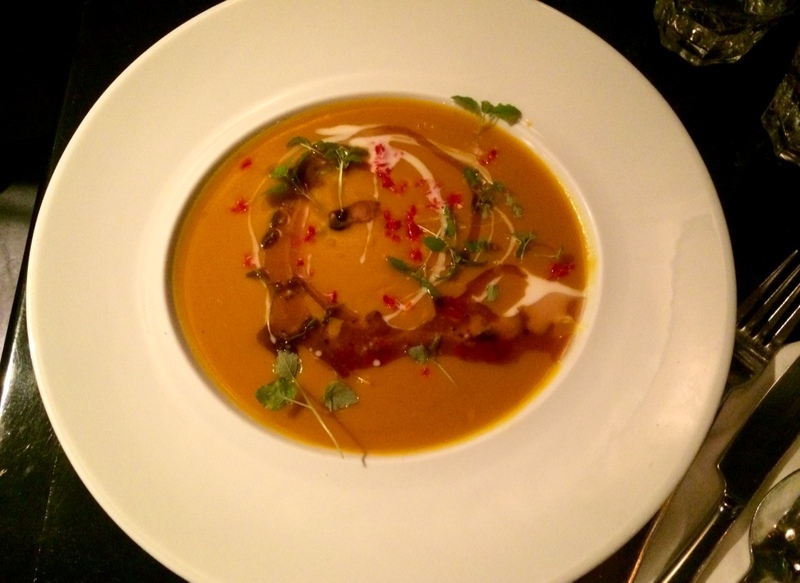 The buttercup squash soup was a perfect fall comforting starter with a coconut twist. 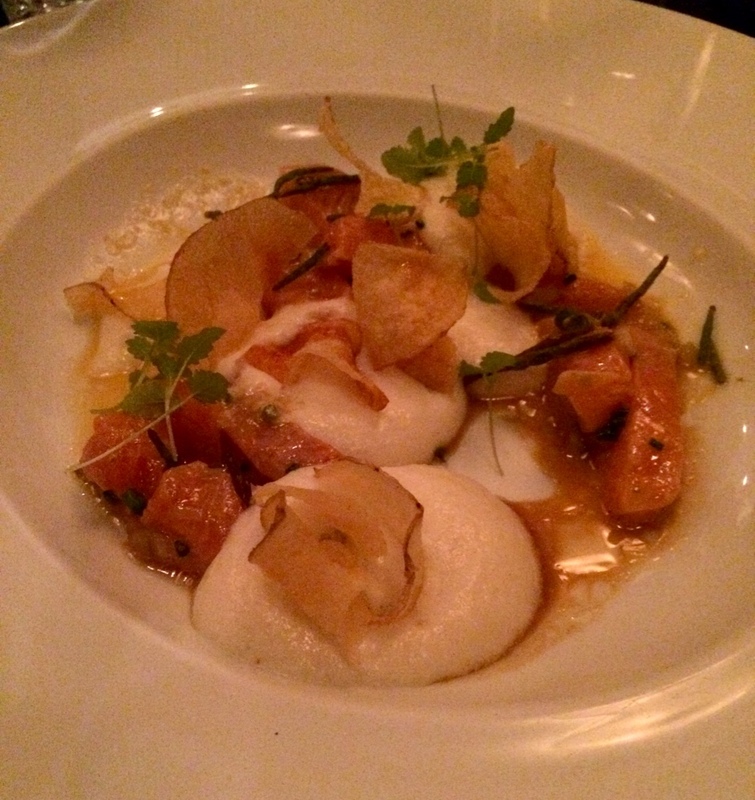 The arctic char ceviche was extremely fresh and served with delicious crispy chips. 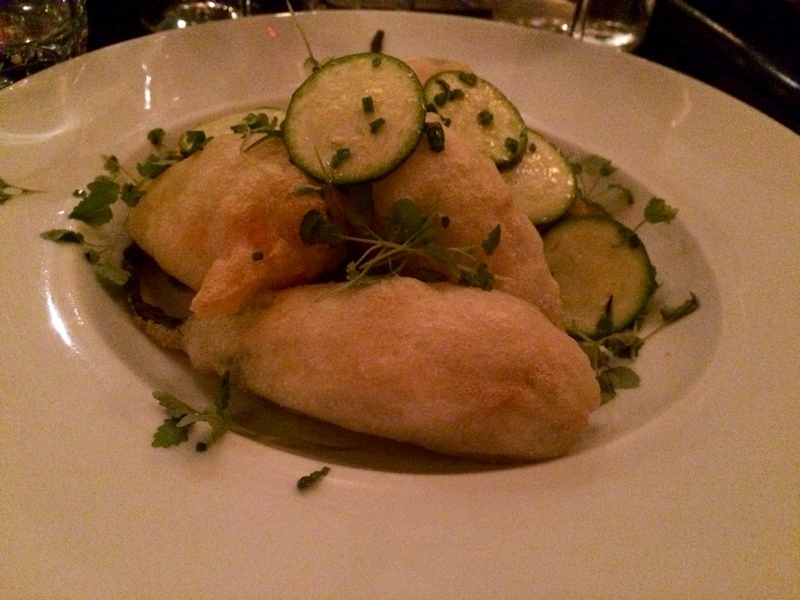 The Zucchini Flowers had a light batter so you could truly appreciate the ricotta stuffing. 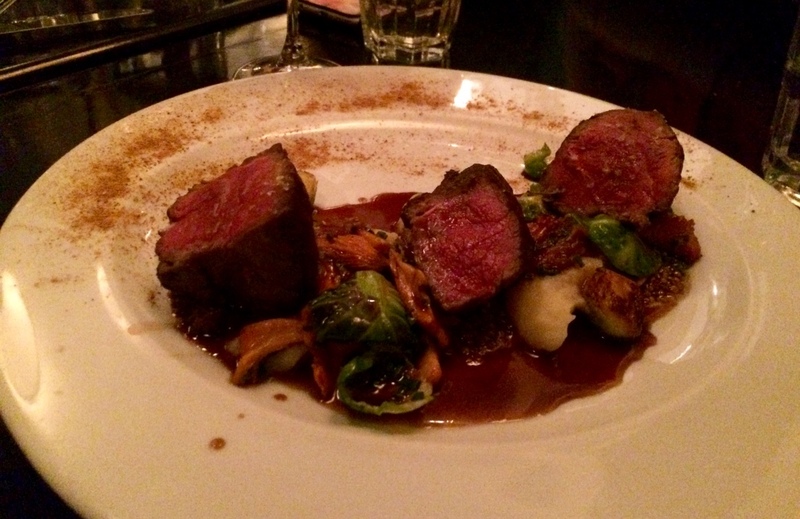 For mains, the bison and the beef tenderloin were two big hits. Both cooked to perfection and served with carefully prepared veggies. 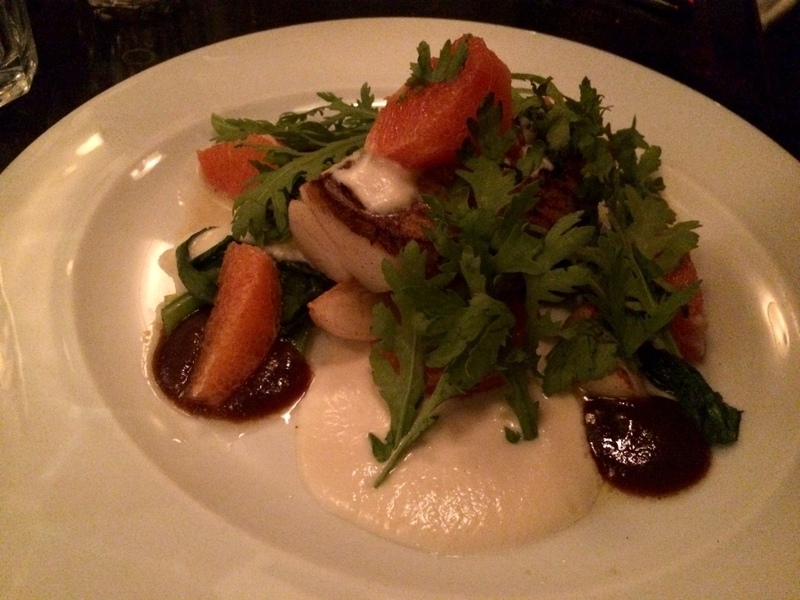 The cod was also highly appreciated, especially with the sweet garlic horseradish puree. 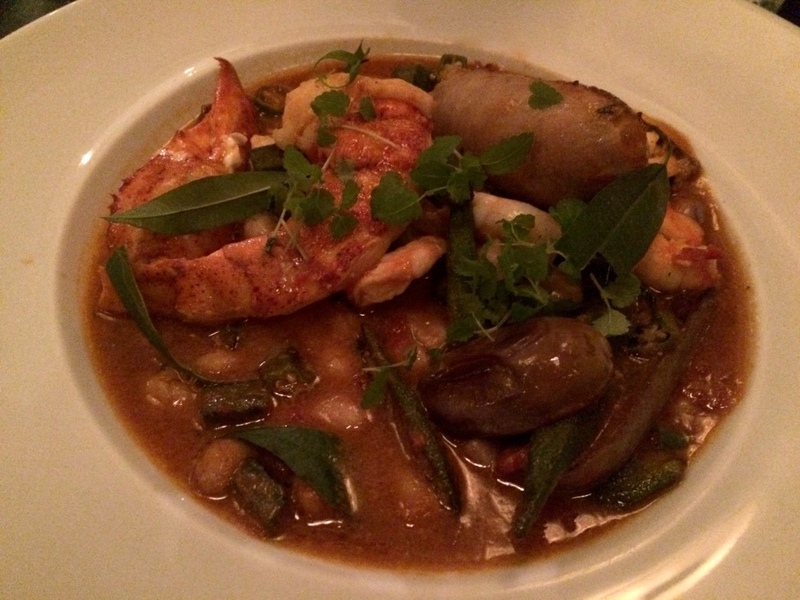 The Jambalaya, mix of lobster, rabbit sausage and beans is probably a good choice for those who like surf and turf. For desert, we tried the red velvet cake with ricotta. It turned out to be an interesting sweet and sour flavour, although I did find the ricotta topping a little too overpowering. The vibe is nice and homey. Cream colour on the walls, nice framed art pieces and just about the right amount of tables to get some atmosphere without the crowd. Also loved the chance to have a sneak peek into the kitchen! I enjoyed everything about this experience. So although the price doesn’t allow Salmigondis to become your weekly hangout, it should definitely be considered a runner up for special gatherings in Montreal. I also must come back to try their brunch as they do highly contribute to the establishment’s reputation. 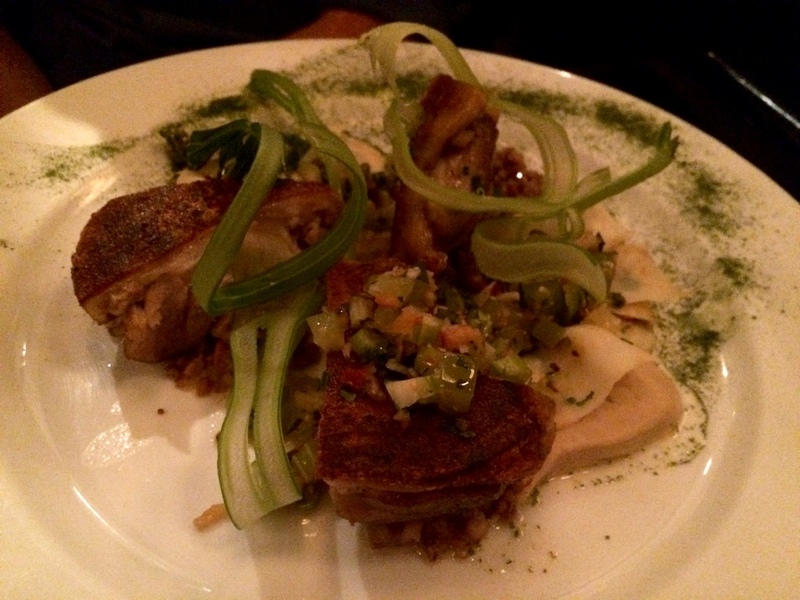 This entry was posted on October 1, 2016 by Pauline Rosen in Restaurant feed and tagged cosy restaurant montreal, dining out montreal, little italy, Montreal, montreal restaurant, restaurant montreal, salmigondis.